Lexus is ready to make every nostalgia-bitten Back to the Future fan's dreams come true next month when finally reveals its hoverboard. Arriving a few months too late for the famous film's Secret Cinema extravaganza, the hoverboard will get its first outing as a complete device on August 5 and get you closer to travelling around in true style. 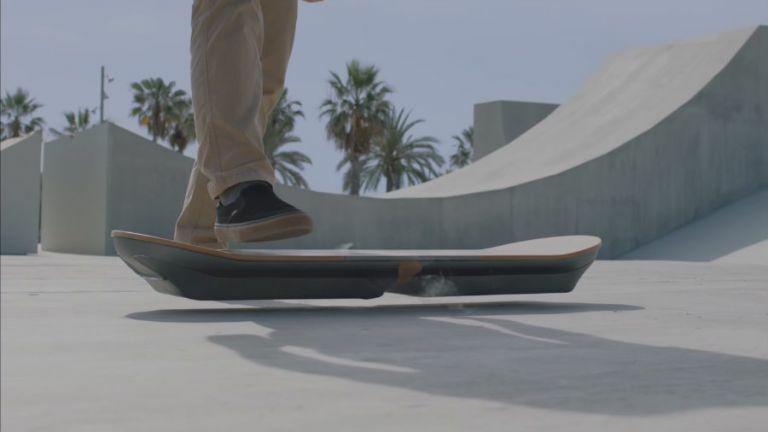 It wouldn't be a Lexus hoverboard announcement without a teaser video and right on cue the 18 seconds of footage shows the transport device in all its floating-on-air glory with excitement expected to hit fever pitch. Previous videos have featured skateboarder Ross McGouran trying it out and the only other tidbit is that the skatepark being used in teaser videos is built with a specific metal surface underneath that allows the hoverboard to function correctly. That'll keep everyone's Marty McFly aspirations in check for a little while yet. You don't have to be eagle-eyed to notice the “smoke” billowing from the board but this is simply a bed of liquid nitrogen that ensures the board doesn't overheat whilst being ridden. There are plenty of very, very important questions that remain unanswered. Will we get a special Back to the Future edition complete with Nike hi-tops? Is there any chance it will actually work on real pavements and roads? And, will any of us be able to afford it? See you on August 5, Lexus!